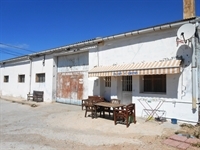 Large warehouse with living accommodation attached. Situated in the lovely Spanish village of Los Montesinos. Just of the main Industrial area. Set in a country side peaceful setting. We have a Large ware house of 420m2 with a 3 bedroomed house attached, The warehouse has open space of 235m2 with an extra 28m2 warehouse, ladies and gents toilets and a large walk in fridge of 18m2. The House has 3 bedrooms and a washing room with large kitchen lounge. The house has in total 70m2 . All is fully legal and registered, The warehouse has an opening licence for canned foods. But change of use can be applied for. Can be used as a Garage, any farm related business, welders yard. Transport. . 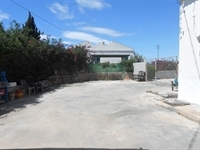 It is on mains water and electric with a total plots size of 1300m2. The house has a small splash swimming pool.